Delicate Burgundy and Copper necklace. 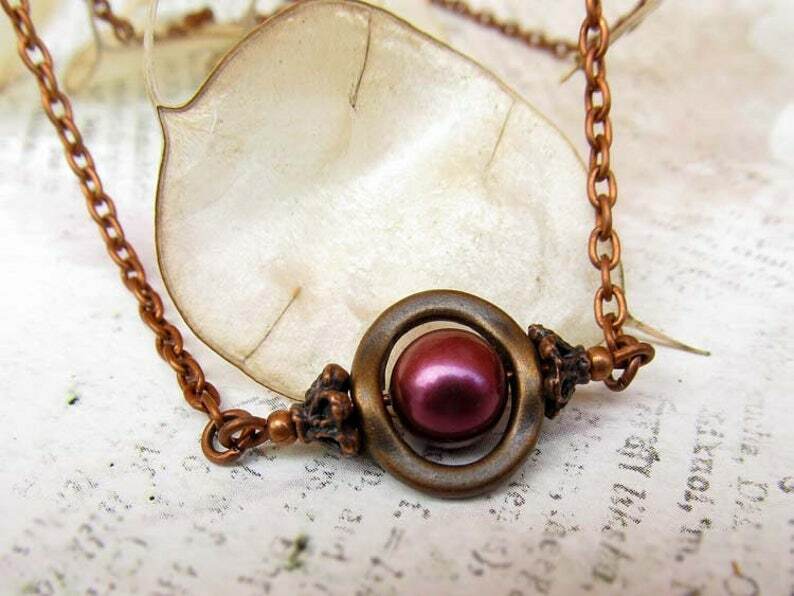 I tucked a man made burgundy South Sea Shell Pearls into a oval copper tone bead frame. Your necklace will be mailed in a pretty gift box via First Class Mail.